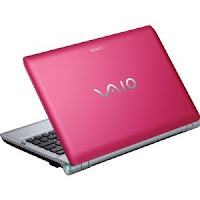 Sony VAIO(R) VPCYB15KX Notebook - review, specification, prices. 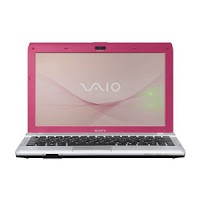 Sony VAIO(R) VPCYB15KX Notebook is a lightweight notebook for frequent travel, offers a great option at only 3.23 lbs. Its thin profile and compact 11.6 inch screen size make it a cinch to tote or easily slip in and out of carrying cases. The new Sony VAIO(R) VPCYB15KX Notebook has AMD Dual-Core processor, 11.6 inch LED (1366x768) widescreen display, 4GB RAM, 500GB SATA hard drive, ATI Mobility Radeon dedicated graphics and Genuine Windows 7 Home Premium. 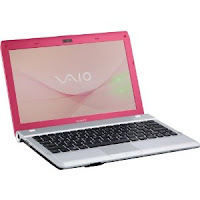 This notebook also offers you the Wireless Wi-Fi networking and built in MOTION EYE camera which can gives you ease of connecting not only your family and friends, but also your business partners. This notebook comes with pre-installed genuine Microsoft Windows 7 Home Premium 32 bit version. Related Posts to "Sony VAIO(R) VPCYB15KX Notebook"
5 Comments to "Sony VAIO(R) VPCYB15KX Notebook"
Please comment to Sony VAIO(R) VPCYB15KX Notebook - Laptop and notebook reviews Sony VAIO(R) VPCYB15KX Notebook, review, specification, and price. Please don't spam.